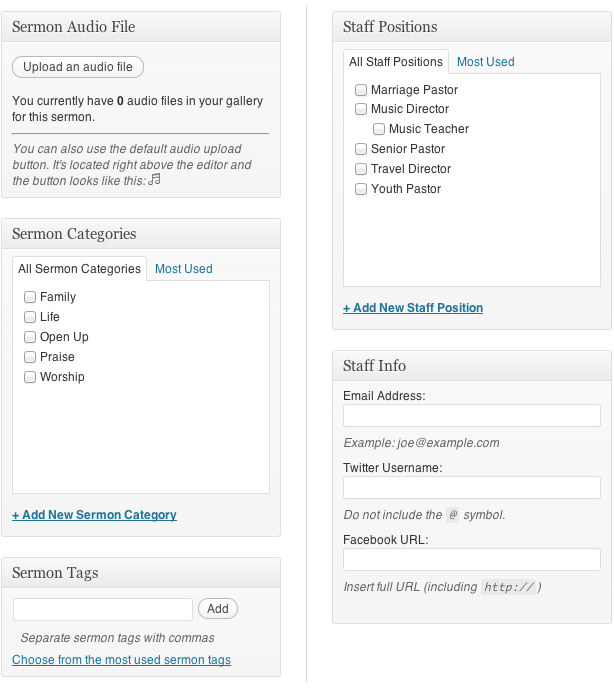 The City Church child theme is bundled with a plugin that adds two custom post types specifically for adding sermons and staff members, making it easy to quickly create and manage your church site. 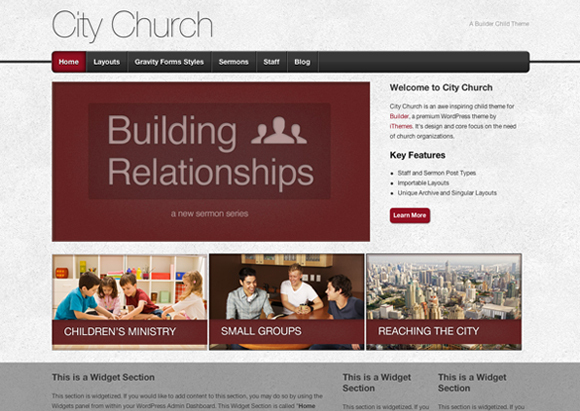 City Church is the only child theme you need for building WordPress church websites. By tapping into the functionality of Builder and WordPress, you can easily upload and organize sermon files and staff information which City Church displays beautifully. Be sure to check out the demo.